Understanding how Gold is deeply rooted in Chinese culture and looking at the gold trading industry closer than ever before. Not long ago, China launched a yuan-denominated gold benchmark. Since the beginning of 2016 Chinese citizens can trade gold on the Shanghai Gold Exchange (SGE) with the “Yijintong” mobile app. Meanwhile, in Hong Kong there are more than 120 brokers offering bullion trading. In China gold is rooted deeply into culture. It equates with power, purity and beauty. Finance Magnates inspects this phenomenon and brings the gold trading industry closer than ever. There is a lot to be told about China, their love for gold and its future. 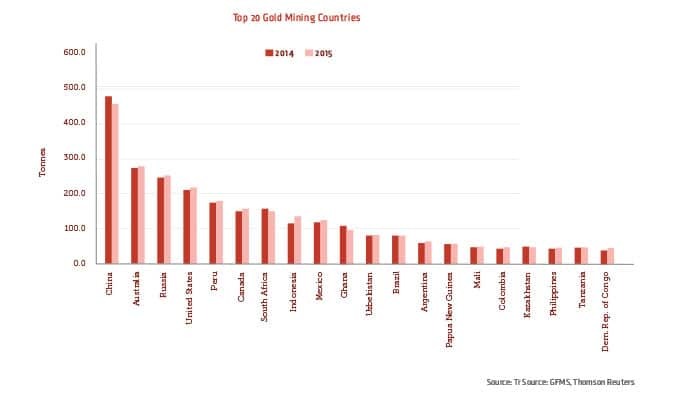 Will gold shine over the China for longer? 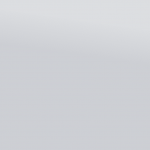 To anyone familiar with Chinese culture it is obvious that gold enjoys a very high status there. There are different theories explaining this phenomenon, sometimes linking it to Taoism or Buddhism. Buddhist temples across Asia share the same passion for gold, just to name the Grand Palace located in Thailand or The Potala Palace located in Lhasa. The same can be witnessed in The Palace Museum located in Beijing, China. The complex used to serve as the home of emperors and their households for almost 500 years. Today it is a museum where its exhibitions showcase Chinese history and arts. One can see how golden elements were important throughout the past. It is worth to note that when the complex was being build (the process started in 1406) the floors of major halls were paved with “golden bricks” baked with clay. 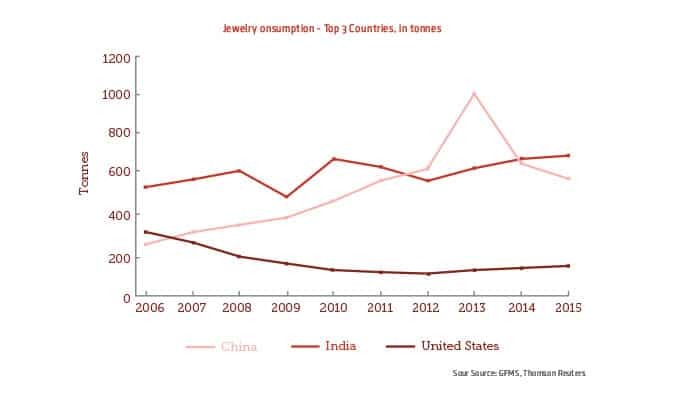 “China has a savings culture and there are still relatively few options open to many Chinese savers with regards to safe and trusted stores of value – gold and property are the two assets that most Chinese savers immediately turn to. Over the long term, income and wealth growth should support greater spending capacity which should, in turn, be supportive of the jewellery market.” – John Mulligan, Head of Member and Market Relations at WGC (World Gold Council). Chinese citizens do not only physically trade gold or trade futures contracts at SHE, they also use via the internet widely available bullion brokers which are located in Hong Kong and abroad. Finance Magnates conducted last year a research on bullion trading in HK. At that time there were at least 122 different brokers offering bullion trading to retails customers. These were Securities and Futures Commission (SFC) regulated firms as well as not regulated – both futures trading providers and OTC. 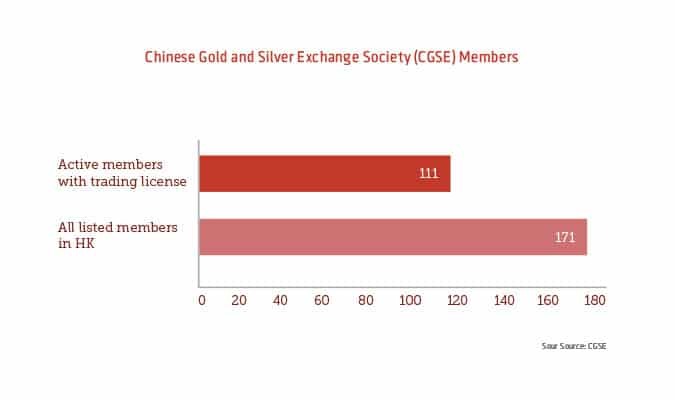 The Chinese Gold and Silver Exchange Society (CGSE) alone lists 171 members. CGSE was founded in 1910, and is is the sole exchange in Hong Kong which trades physical gold and silver. 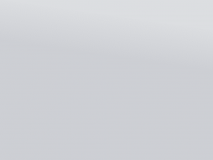 While only 111 of them have license for trading and not all of them offer electronic trading, this number still seems very large for Hong Kong alone. There is more than 7.1 million people in HK and it is difficult to imagine that all of the brokers who offer bullion trading target local traders only. In normal circumstances it could be debated how long demand for gold would remain strong. Analysis of fundamental factors could give more or less concrete vision of how much of gold the economy needs in the coming years. For example, in the case that the economy of China is slowing down but the pace of growth is still above levels known from developed western economies. However, the situation in the Chinese gold market is very different to what we know from other regions of the globe. Fundamental factors are backed by cultural ones resulting in an interesting blend. If anyone thinks that everything in the case of the gold market in China has already been seen he is wrong. We have only seen a prelude to something even bigger.